Home>Introduction to the new range of PLAY STRUCTURES by CRS Creative Recreation Solutions, which is now designed and manufactured in Australia. Introduction to the new range of PLAY STRUCTURES by CRS Creative Recreation Solutions, which is now designed and manufactured in Australia. CRS Creative Recreation Solutions was born out of sheer desire to change the playground industry for the better. We noticed if you wanted premium / bespoke playground equipment, you often had to look to overseas suppliers. Understandable? Yes. Reasonable? No. The CRS team were shocked by this revelation, and we decided to redesign it. We removed our line of imported equipment from the equation for many reasons, opting for a completely in-house team that manages the new KLIX PLAY STRUCTURES brand. 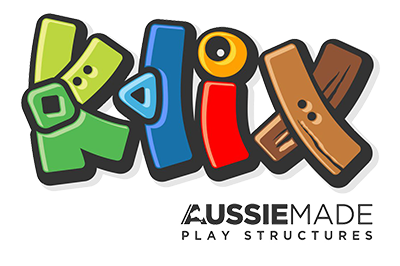 Powered by technology, KLIX PLAY STRUCTURES delivers practical and innovative design-led playground equipment produced right here in Australia. We’ve since grown into a diverse team of more than 25 people, all with different expertise and stories to tell. When a KLIX product arrives on your doorstep, you’re witness to the tender love and care every one of our team has poured into delivering the product. Please join us as we evolve and take on the industry together. As we’re still in early development of new products we would value your input for any new suggestions! If you have been after a certain style of playground equipment or specific product that is not available in Australia, we would love to discuss your ideas. We would also like to reach out to all our existing clients and say thank you for your patience and helping us in this transition, also giving CRS the opportunity to work towards our goal of becoming one of the most trusted and awarded design and construct outdoor recreation companies in Australia.